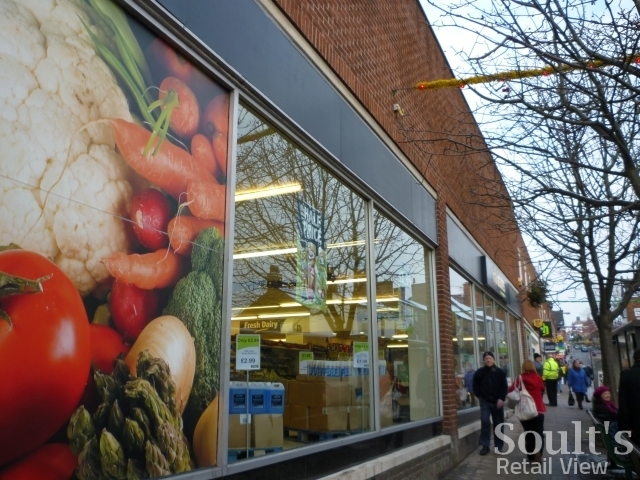 The independent supermarket chain Haldanes looks set to become the latest retail casualty, after filing for an administration order today. “Following advice from our lawyers and an insolvency practitioner, we have made the decision to seek an administration order for Haldanes Stores Limited and Ruston Retail Limited in order to protect our position. Though Harris’ statement continues by promising to “work closely with the administrator and do our utmost to secure the future of a group of stores in the Haldanes estate”, BBC News is reporting that most of the stores will close next week (14 June), with four shops likely to be acquired by other retailers. This accords with the update I received from a Kelso shopper earlier today, who told me that staff in her town’s branch of Haldanes had been informed this morning that the store would close on Tuesday. Kelso’s Haldanes, incidentally, is a store that has been through the whole cycle of Safeway to Morrisons to Somerfield to Co-op, prior to assuming its current tenant. 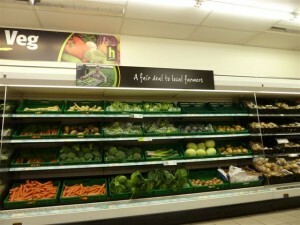 For the last month, Haldanes has also been engaged in an extraordinary public dispute with the Co-operative Group, from which it acquired its store estate in late 2009 and early 2010 – a collection of sites, many of them in Scotland, that the Co-op was required to divest following its acquisition of Somerfield. “We have made countless attempts to negotiate with the Co-operative Group Limited over the last nine months, all to no avail. 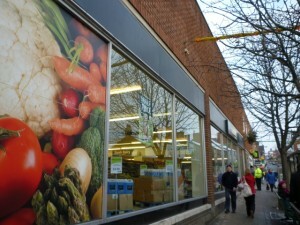 As a result, we issued proceedings in the High Court against the Co-op on 10th May 2011. We lodged full details of these proceedings with the High Court and its solicitors yesterday (8th June 2011). Whatever the rights or wrongs of the dispute, the whole episode – played out through the media – has come across as unseemly, and has surely absorbed energies that would, ideally, have been invested elsewhere in the business. 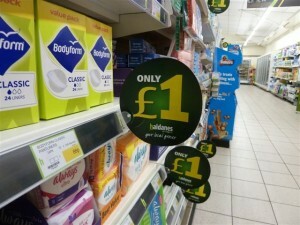 However, just as pricing (not competitive enough) and product availability (not good enough) have been problems at Haldanes, there’s still work to do in addressing similar issues at UGO. A month ago, following my visits to the UGO stores in Eston and Hartlepool, I queried UGO’s apparent move away from the everyday low prices (EDLP) strategy that had made Netto successful, as well as the danger of poor availability undermining its pledge to offer a full weekly shop. 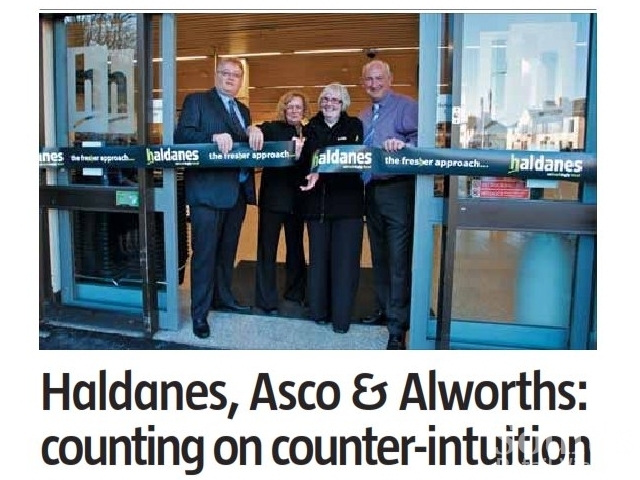 If nothing else, Haldanes’ difficulties underline the huge challenges faced by any new entrant to the cutthroat UK grocery market. 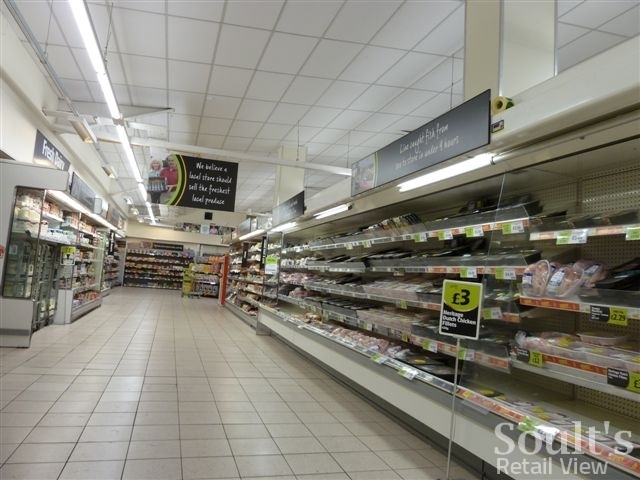 The big players not only have established brands and store estates, but also have massive buying power, streamlined supply chains, quality store environments and generally positive customer experiences that are difficult for a newcomer to compete with. At the beginning, Haldanes sought to differentiate itself by sourcing 35% of its food and drink products locally, though this policy seems to have been downplayed more recently. 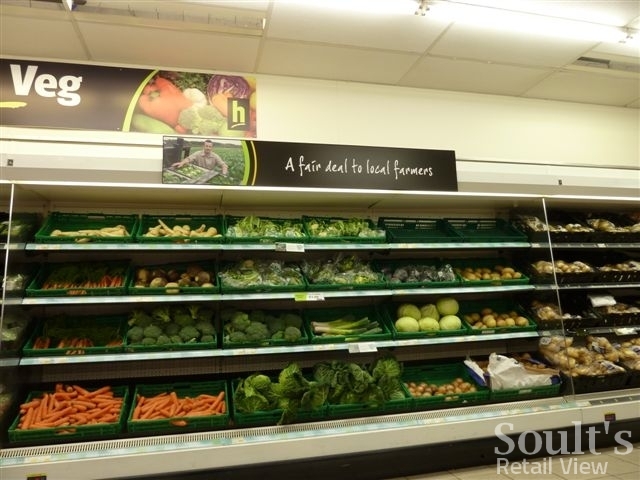 Positioning itself as a supporter of local producers has worked brilliantly for the North West-based supermarket chain Booths, allowing it to carve a distinctive niche and a brand that stands for clearly-defined values. 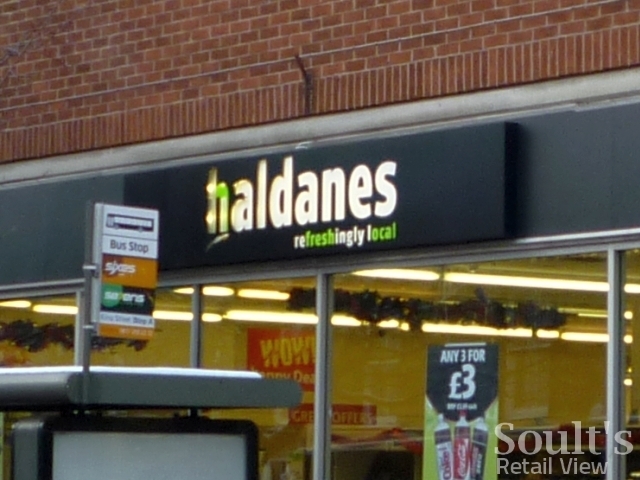 However, it was always likely to be a less lucrative approach for Haldanes, with a disparate geographical spread of stores, many of those in less upmarket, more price-sensitive locations. 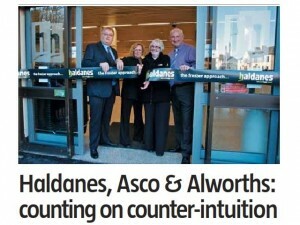 To end, it’s interesting to remind ourselves that barely eighteen months ago, in November 2009, The Grocer ran an article about three newly launched independent retailers – Haldanes, Asco and Alworths, which between them were hoping to open some 180 stores within three or four years. The reality, of course, has been far different, with the Haldanes chain now on the verge of joining the others in the great retail graveyard in the sky. 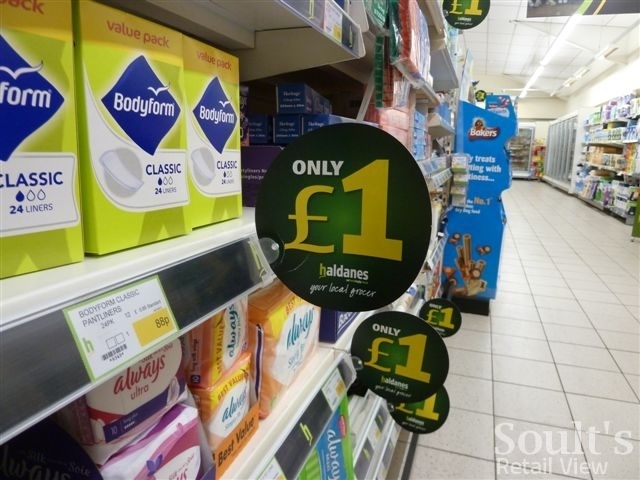 Perhaps it’s no coincidence that today’s most successful independent retail chains – B&M Bargains, Heron Foods, and the like – are those that have grown steadily but quietly from humble beginnings, rather than fizzling out once the initial fanfare is over. Thank you for the update, Martin. I’ll see what I can find out. If Arthur Harris has all these other companies, he should be able to pay the staff who are losing their jobs, who have been told that they either won’t get paid or will only get one weeks pay! Most Haldane staff have small contracts, i.e. 6 hours, so that Arthur doesn’t have to pay holiday pay. Their monthly wage is made up of overtime! Is he going to make sure his shop staff get their full pay or not? 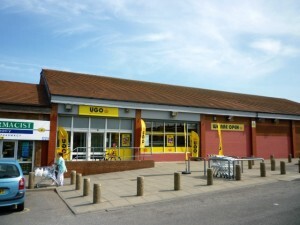 If the above is true then why is the UGO branded store in biddulph S-o-T closing on tuesday 14th June? That’s interesting, Jack! 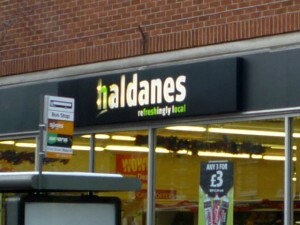 I can only assume that because the Biddulph UGO was converted from a Haldanes-branded store, the lease is still in the name of Haldanes Stores Ltd, rather than UGO Stores Limited (which runs all the ex-Netto sites acquired from Asda). Soult's Retail View » Habitat, HomeForm, TJ Hughes: why is it H-H-Hell on the high street?